Understand, manage and transform the student experience. 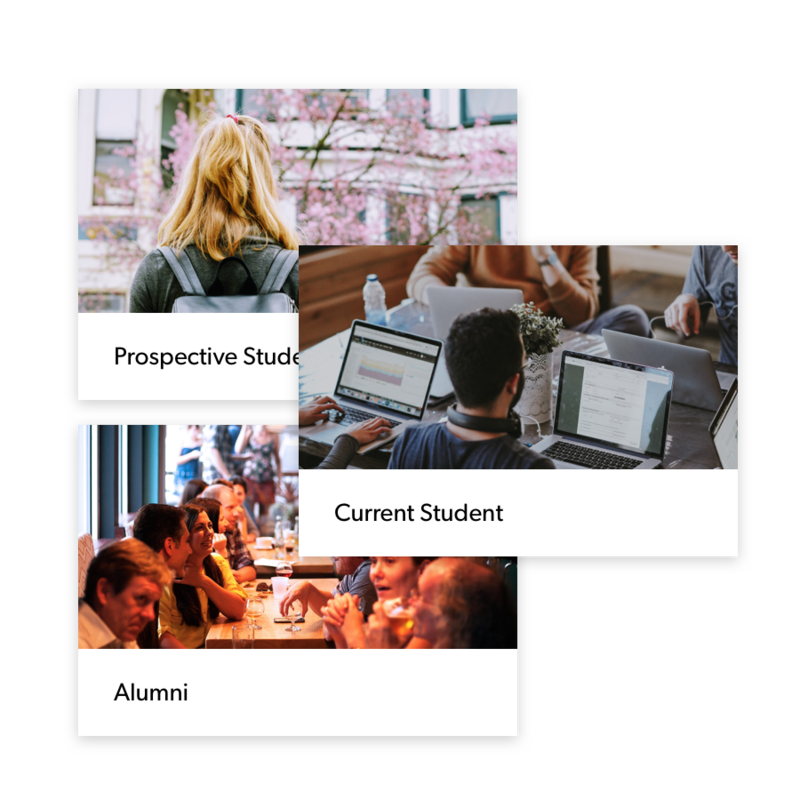 Current students, alumni and prospective students (or any other custom persona you want to build) get an experience tailored to their needs. What does this mean? 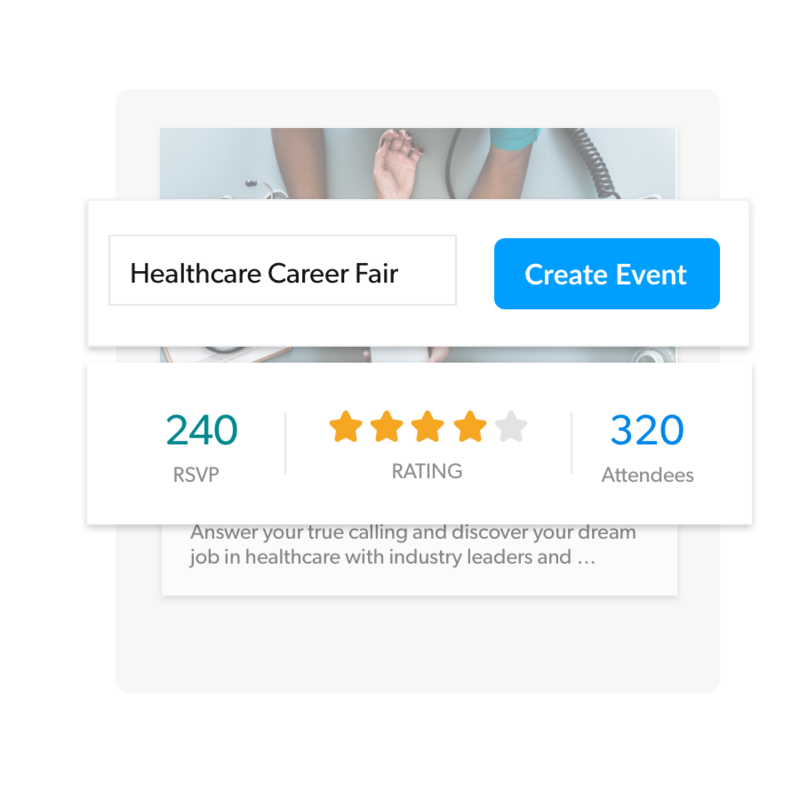 Custom content, different log-ins, and any other type of personalized content you want to provide. Finally, one place to manage all of your campus content, student communications and engagement data. With a broad suite of tools at your disposal, you can create messages, update your campus app or even extract student lists and send to other departments. How have events performed over the past 30 days? How many students have engaged with multiple touch-points this semester? 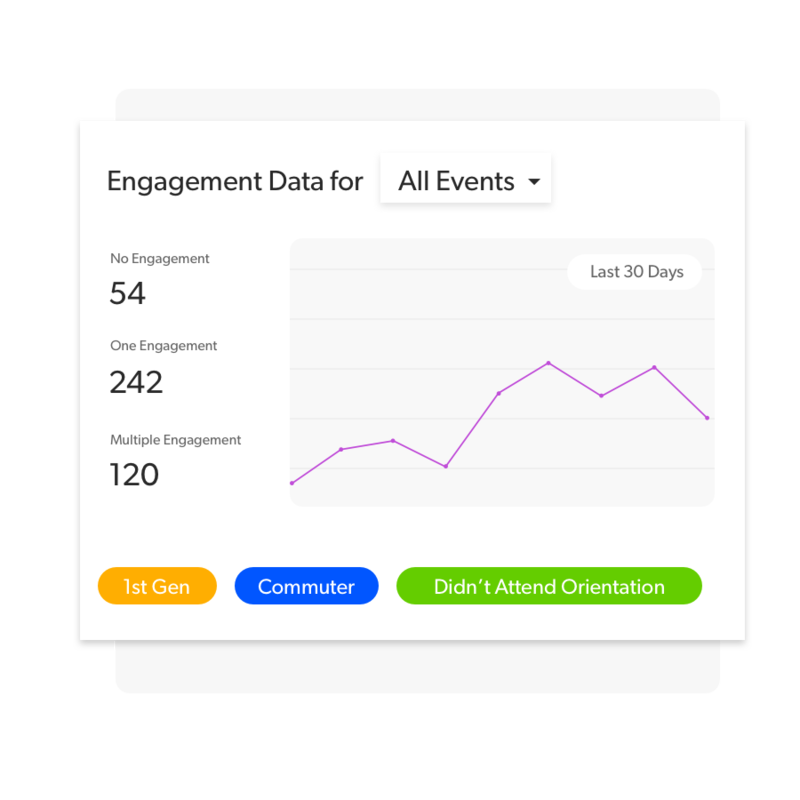 Questions about student engagement can now be answered quickly, are easily accessible and customized with the click of a button. 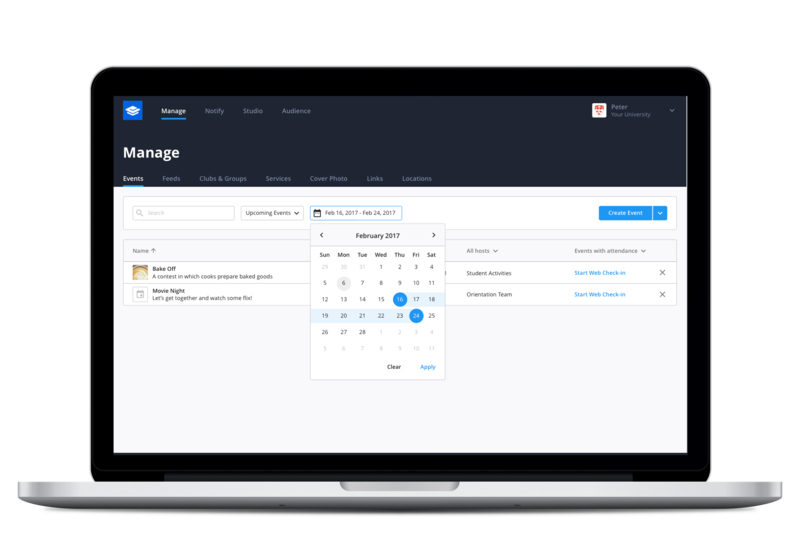 The Campus Cloud is your one-stop shop to manage the student experience, but you're not in it alone. 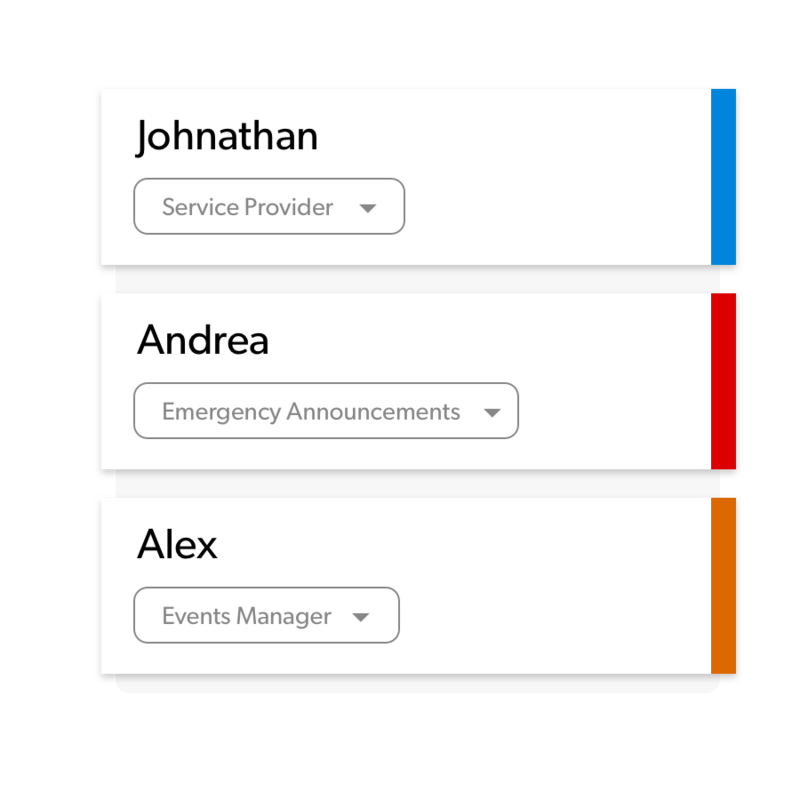 Assign different levels of access to different parts of the app to create a secure, collaborative experience. Let students update their groups and clubs, while you focus on targeted, at-risk communication - delegate as you see fit.